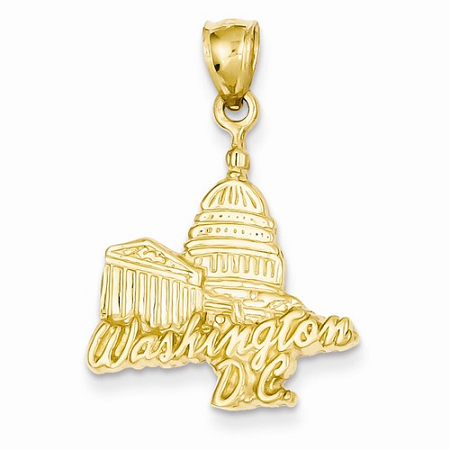 14k Solid Polished Capitol Building Pendant: In length 29 mm and width 19.5 mm, yellow gold pendant looks attractive. Yellow gold is well casted to beautiful pendant. It is well polished solid pendant.